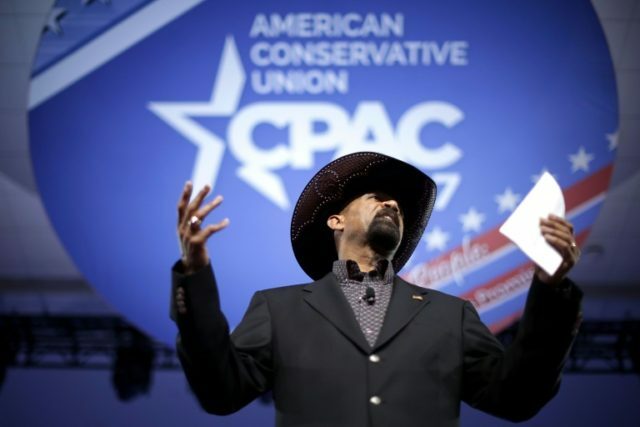 America First Action spokesperson and former Milwaukee Sheriff David Clarke advised President Donald Trump’s supporters to pressure their elected officials to include funding for construction of a southern border wall within the next continuing resolution in lieu of a budget. He joined Breitbart News Washington Political Editor Matthew Boyle on Friday’s edition of SiriusXM’s Breitbart News Daily to discuss ongoing political battles over border security on Capitol Hill. Clarke continued, “They react to public pressure. So that’s the first thing [Donald Trump’s supporters] can do. They other thing they can do is stay with this president. Help him fight. Help him push. Stay active. Stay loud. Call. Write. Blog. Take to social media. There are a number of things they can do to let this president know they’re still with him and they’re wiling to fight. Boyle asked Clarke for comments on the importance of a southern border wall.